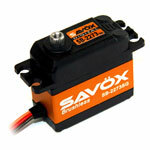 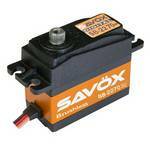 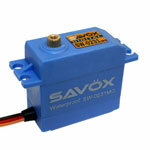 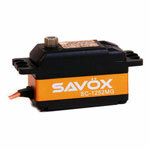 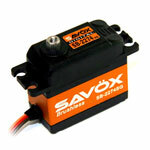 Savox is an enthusiastic and a professional manufacturer of radio control servos. 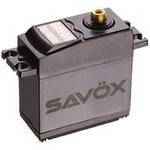 Savox designs, develops, and manufactures all their products ourselves. 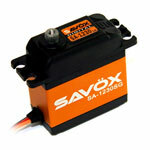 Innovative technology and reliable quality is the heart of Savox. 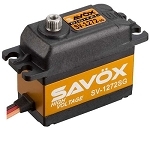 With rigid commitment to innovation and quality, Savox has launched first-in-the-world 12 bit 4096 resolution digital servos comprising coreless motors and titanium alloy gears. 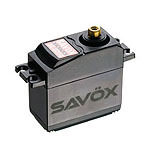 At Savox, each individual product is checked and tested through a series of strict and accurate quality control processes in a cutting edge facility by highly trained engineers. 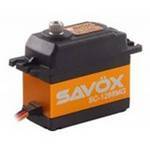 Warranty Information - Savox strives to deliver a high quality product and work continuously to make every product free from defects. 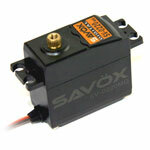 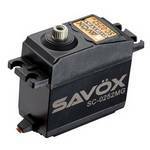 Savox offers a one-year manufacturers warranty on all their servos and Savox stand by their product. 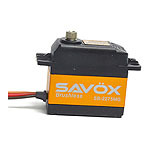 If for some reason you feel you have a warranty situation, please contact their warranty department via the email address below and Savox will be happy to assist you. 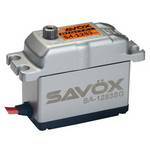 Please include a detailed description of the problem you are having and Savox will promptly return your email. 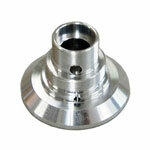 Warranty does not cover issues due to misuse, negligence, or normal wear and tear. 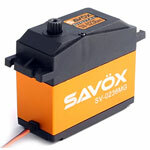 Impact related damage is not covered under warranty. 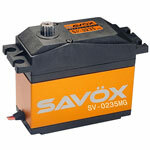 Any modifications such as welding of wires also voids warranty. 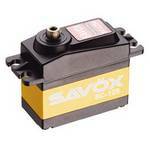 Stripped gear sets are not covered by warranty however servos may be sent into SavoxUSA for repair (all costs incurred will be covered by customer including retail price for gear sets, shipping, and nominal fees for time and labor). 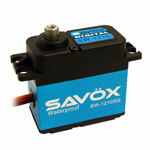 Again, if you have any questions about warranty situations, please feel free to contact us.